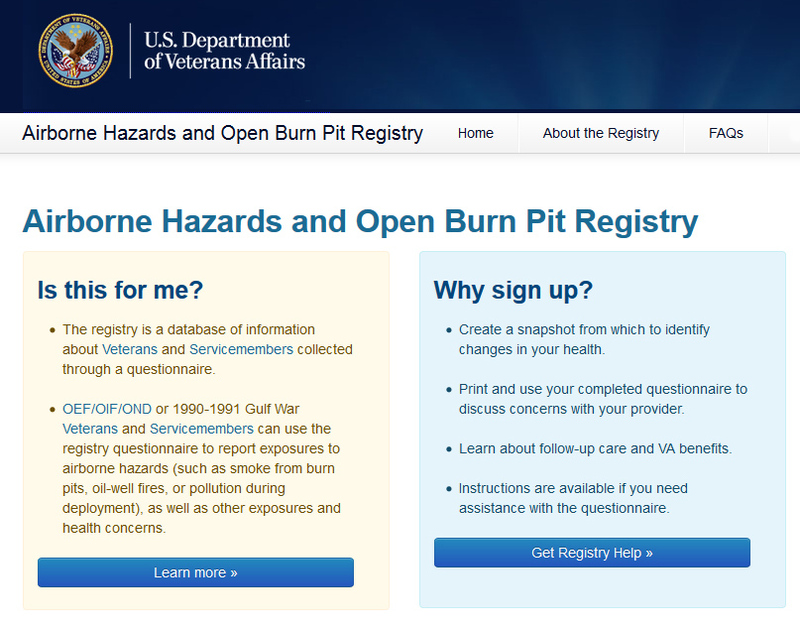 Just five months ago, VA launched the Airborne Hazards and Open Burn Pit Registry in response to concerns that Veterans were experiencing a range of respiratory illnesses possibly associated with exposure to burn pits. The registry is open to many Veterans and active-duty Servicemembers who deployed to various locations. This post describes why you should participate in the registry and how it might help uncover links between exposures and certain health conditions. 1. 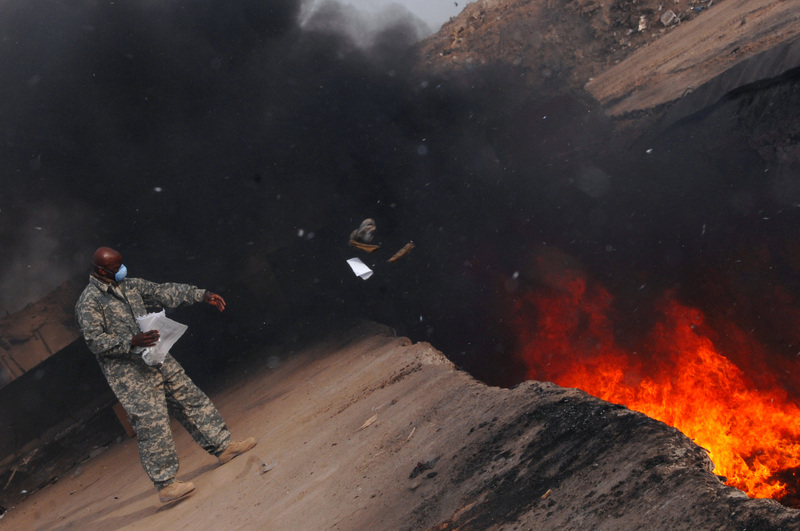 Exposure to Burn Pits was common among Servicemembers overseas and may have health effects. A burn pit is an area devoted to open-air combustion of trash. The use of burn pits was a common waste disposal practice at military sites outside the United States, such as in Iraq and Afghanistan. Smoke from these pits contained substances that may have short- and long-term health effects, especially for those who were exposed for long periods or those more prone to illness such as individuals with pre-existing asthma or other lung or heart conditions. Waste products in burn pits include, but are not limited to: chemicals, paint, medical and human waste, metal/aluminum cans, munitions and other unexploded ordnance, petroleum and lubricant products, plastics and Styrofoam, rubber, wood, and discarded food. Burning waste in pits can create more hazards compared to controlled high-temperature burning – like in a commercial incinerator. 2. Research on the health effects of burn pit exposures specific to Veterans and Servicemembers is limited currently. At this time, there is conflicting and insufficient research to show that long-term health problems have resulted from burn pit exposure. VA continues to study the health of exposed Veterans. The registry is just one of several research projects currently underway. 3. Registry participation is voluntary. The Airborne Hazards and Open Burn Pit Registry is a database of information about Veterans and Servicemembers. Participation in the registry is voluntary and will not affect access to VA health care or compensation benefits. Veterans and Servicemembers can use the registry questionnaire to report exposures to airborne hazards (such as smoke from burn pits, oil-well fires, or pollution during deployment), as well as other exposures and health concerns. 4. 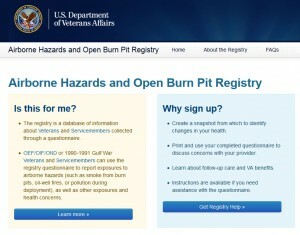 The burn pit registry is a helpful tool for Veterans and Researchers. 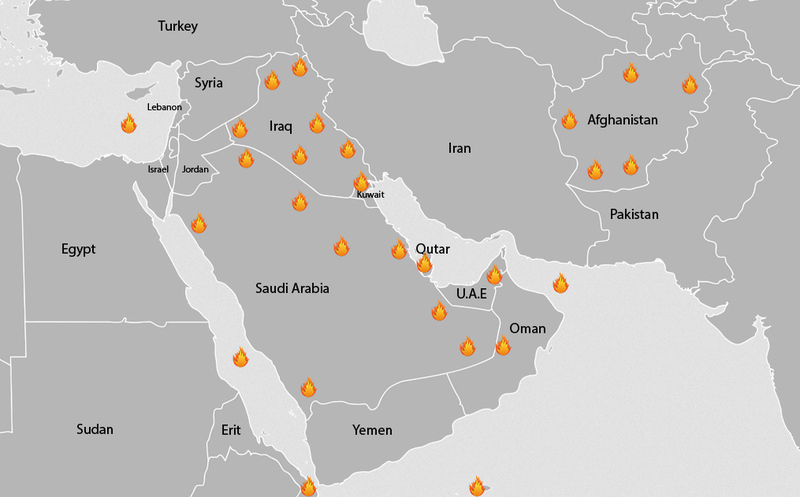 The registry helps participants to become more aware of their health, while helping researchers to study the health effects of burn pits andother airborne hazards (e.g., sand, dust, and particulates. The online questionnaire can be used to identify health concerns, guide discussions with a health care provider and document deployment-related exposures. Most Veterans and Servicemembers will complete the questionnaire just once. Some participants may be asked to participate in additional studies that could involve additional questionnaires and exams. VA will maintain the security of all information provided in the registry. 5. Many Veterans who deployed after 1990 can join the registry. 6. You need a DoD Self-Service Logon Level 2 account to participate. You may participate in the registry by completing a web-based health questionnaire athttps://veteran.mobilehealth.va.gov/AHBurnPitRegistry. To access the questionnaire, you will need your Department of Defense Self-Service Level 2 logon (DS-Logon). You may apply for a DS-Logon account at https://www.dmdc.osd.mil/appj/dsaccess if you do not already have one. The DS-Logon is a secure, self-service identification that allows active-duty Servicemembers and Veterans to access several websites using a single username and password. 7. You can sign up for the Burn Pit Registry in three easy steps. Just head here: : https://veteran.mobilehealth.va.gov/AHBurnPitRegistry/#page/home. Step 2: Complete and submit the online questionnaire. Step 3: Print and save your completed questionnaire for your records. Veterans who are eligible for the registry are also eligible to obtain an optional no-cost, in-person medical evaluation (note this is not a disability examination). 8. Technical support is available for the registry. If you are having any problems with registering, you can call the Registry Help Desk from 8 am-8 pm Eastern Time at 1-877-470-5947. Additional help can be found within the Registry Frequently Asked Questions athttps://veteran.mobilehealth.va.gov/AHBurnPitRegistry/index.html#page/faq. 9. Help is already available for health issues at VA.
Medical professionals with expertise in military exposures and health care benefits are available at VA medical centers nationwide. Veterans who are already enrolled in VA health care should talk to their primary care provider. Veterans who are not already enrolled should talk to an Environmental Health Coordinator at the nearest VA medical center. Find a local Environmental Health Coordinator by visiting http://www.publichealth.va.gov/exposures/coordinators.asp or calling 1-877-222-8387. Servicemembers should discuss any concerns or health issues with their health care provider. 10. You can file a claim related to health problems believed to be associated with burn pits. Dr. Paul Ciminera, MD, MPH, is the Director of the Post 9/11-Era Environmental Health Program within the Office of Public Health. He oversaw the design and development of the Airborne Hazards and Open Burn Pit Registry. He is an Army Veteran and a board certified physician in General Preventive Medicine and Occupational Medicine. 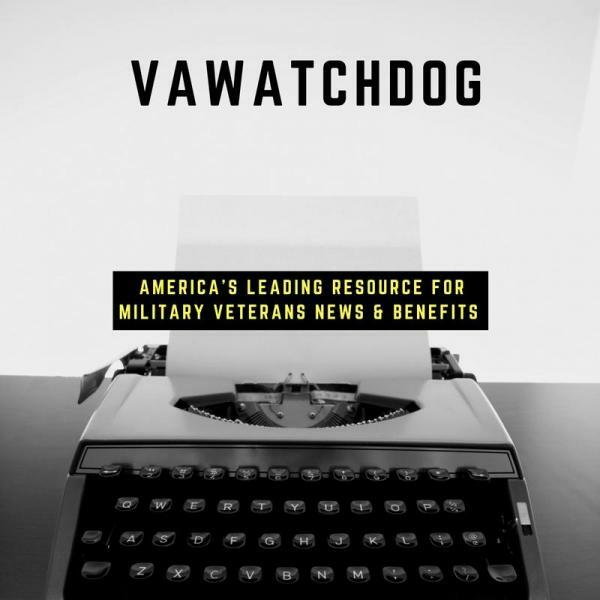 He currently leads VA’s efforts to develop standard screening and evaluation protocols for Veterans and Servicemembers with exposure concerns after deployment.